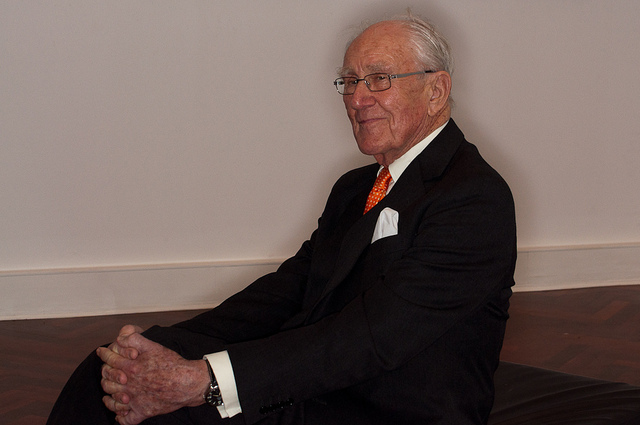 The most remarkable feature of Malcolm Fraser’s lifetime pursuit of Australia’s international interests was his journey from rock-ribbed, alliance-loving realist to green-tinged alliance decrier. Fraser’s eventual rejection of the US alliance as deeply dangerous to Australia put him well outside the Liberal–Labor strategic consensus. Not for Malcolm the alliance addiction that has been the drug-of-choice for Australian defence from day one, 1901. In office, Fraser was a deeply committed alliance addict in the great Oz tradition; in retirement he renounced the habit with all the fervour of those who reform and recover. Peter Edwards offers an excellent account of Fraser’s alliance evolution and transformation. And Peter points to the Soviet Union as the bogey man that animated much of Fraser’s leadership. On the alliance and on the communist threat, Fraser was being true to his teacher and political inheritance. One way to read Fraser-as-PM is to see him as a loyal Menzies disciple, acting out in office many of the aims and attitudes he’d learnt from the master. Fraser entered Parliament at the age of 25 in 1955, the youngest MP at the time, so his education can be attributed as much to a decade of tutelage by Menzies as the third-class degree from Oxford. Fraser’s exit from Parliament in 1983 and the end of the Cold War six years later were important points of departure beyond the Menzies mantle. Such pop psychology must immediately acknowledge important areas where Fraser was completely at odds with Menzies in government, especially on race, immigration and multiculturalism. In office from 1975 to 1983, though, Fraser’s instincts and understandings of politics and geopolitics were marked by Menzian habits of mind. That is why Fraser always maintained that the Liberal Party had shifted away from him—he stood with Menzies, the Party drifted off. The contest for the Menzies’ mantle is part of the tug-of-war between Howard and Fraser, forming an undercurrent of Howard’s book on Menzies. Peter Edwards provides the historical context for looking at the shift from realist to radical expressed in Fraser’s jeremiad against the alliance in his last big message to Australia: the book Dangerous Allies. The deep flaws in the book do not detract from the distinct position it marks out in the great national endeavour to navigate the Asian century. As this column commented on the book’s publication, for the first time in its history, Australia had a Prime Minister who didn’t believe in the need for a great and powerful friend. For a detailed demolition of Fraser’s call to end the alliance, see Rory Medcalf’s essay ‘Malcolm Fraser’s Asia Delusion’. Rory says Fraser offers an absurd caricature of US policy and what this means for Australia: ‘Beneath a veneer of reasonableness, it is characterised by omissions, distortions, half-truths and plain errors of fact. The account is frequently naive, automatically assuming the best of Chinese motives and actions.’ And after that, Rory really starts to get stuck in. The funny thing is I am sure that Malcolm Fraser would have absolutely loved it as the basis for a wonderful verbal wrestle. Fraser was a political bully who always wanted a good argument. Like Margaret Thatcher, he was often more interested in those who argued with him. Supporters were part of the base, while those who argued might have interesting perspectives to be tested or even incorporated. And those who argued could even be debated into becoming converts. What else is politics for? Fraser’s shift beyond the alliance was an increasingly apparent part of his political persona through the 1990s. The moment when I shifted Malcolm fully into the alliance nay-sayer camp was his the speech he gave in the Old Parliament House 70th Anniversary Lecture Series in October, 1997. Our security arrangements had been based on the reality of the Cold War and on the possibility of a real Communist threat. Our relationships with the US were dominated by the necessity for that security alliance. It gave us comfort. But what implications does the end of the Cold War have for security in East Asia and the Western Pacific? American power was based in the Western Pacific, largely because of the Cold War. Is the deployment still relevant? Is there a perceivable threat that could involve the US, because they will only be involved if their interests are threatened? They will not be involved if Australia’s interests alone are threatened. Over the next hundred years, more and more we are going to have to achieve Australia’s future through our own efforts and through our relationships with countries in East and Southeast Asia. We need the courage and capacity to realise that relationships with Asian countries can give us a more secure future than relationships with Britain or the United States. Fraser wrestled with a lot of history to produce Dangerous Allies. It must have torn at his Menzian training. And Fraser certainly offered an incomplete picture of what strategic independence would mean and cost. He didn’t even grapple with concepts such as ‘armed neutrality’, while his embrace of Asia meant he was no isolationist. This is an argument that will not die with Australia’s 22nd Prime Minister. Graeme Dobell is the ASPI journalist fellow. Image courtesy of Flickr user Jim.